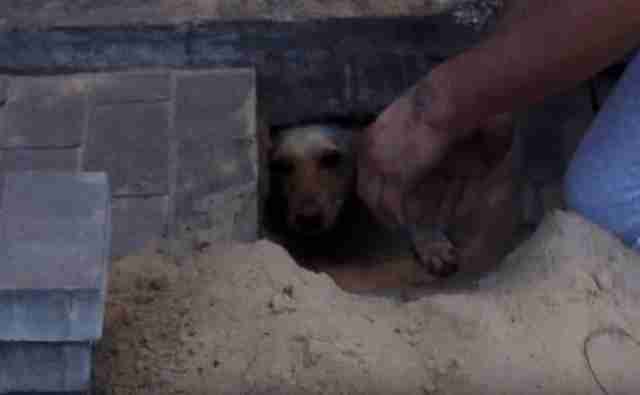 A pregnant dog who had been buried and left to die beneath the ground was able to make it out alive - all thanks to a kindhearted man who refused to ignore her cries for help. 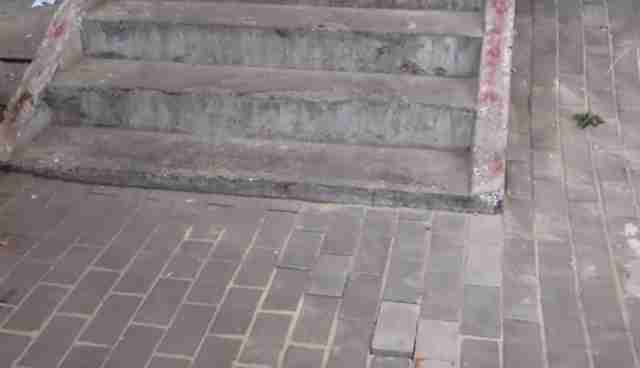 The animal's shocking ordeal began last Friday outside a housing unit in the Russian town of Voronezh in what some suspect was an act of cruel indifference. City workers had been called out to the spot to patch a section of sidewalk where a sinkhole had formed weeks earlier. In so doing, however, they somehow ended up entombing the dog in a cavity that remained under the building's front steps. She might never have been discovered if it weren't for her refusal to be forgotten. 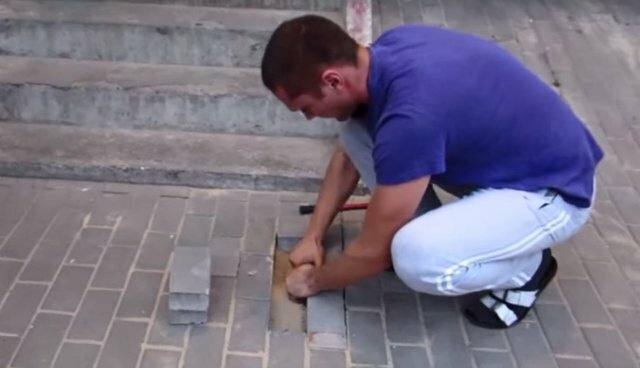 In the days that followed, residents Vadim Rustam and his family were alarmed to hear the sound of barking below the freshly-laid bricks, so they appealed to the city's housing authority for assistance. After being told that nothing could be done to help, Rustam took matters into his own hands. Without concern about undoing the recent repairs, he began prying up the bricks and digging through the sand beneath. And it's a good thing that he did. Amazingly, despite having spent two days without food or water all alone in the dark, the dog was still alive. Footage from the rescue shows Rustam pulling her to safety from her early grave. While it remains unclear how the dog ended up in that predicament, and whether or not she'd been buried alive knowingly, she and her unborn puppies are alive today because of the actions Rustam took to save them. 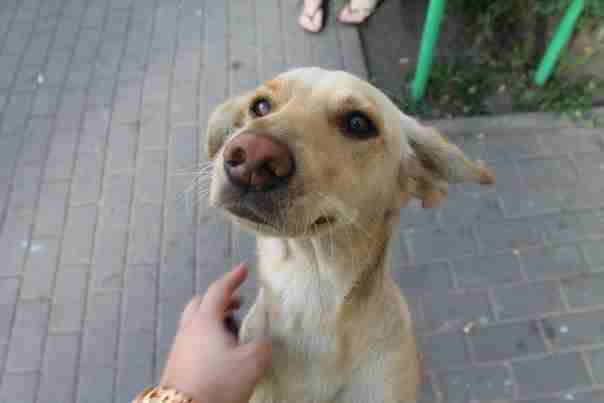 The expectant-mother dog, believed to have been a stray, has since been placed under the care of a local animal rescue group. Thankfully, she is said to be doing well and will soon be made available for adoption.